achievement in the world of modern transportation on its 45th anniversary! and Glenn Close (as Kala). label's 7-inch book and records sets. 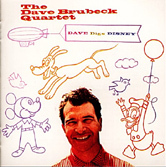 She also sang the title theme for Disney's 1964 The Three Lives of Thomasina. and Jim Crow in Dumbo, is born in Hannibal, Missouri. (Although the absence of any official records leave some historians to believe the date and place might be incorrect.) Also known as "Ukelele Ike," Edwards enjoyed considerable popularity in the 1920s and early 1930s - specializing in jazzy renditions of pop standards and novelty tunes. In the 1950s and early 1960s, Edwards made a number of appearances on the Mickey Mouse Club, in addition to reprising his Jiminy Cricket voice for various Disney shorts and the Disney Christmas special, From All of Us to All of You. Cliff Edwards was named a Disney Legend in 2000. Actor/dancer Gil Lamb is born in Minneapolis, Minnesota. His Disney credits include the live-action films The Boatniks, The Love Bug, The Horse in the Gray Flannel Suit, Blackbeard's Ghost, and The Gnome-Mobile. classic TV special Rudolph, the Red-Nosed Reindeer. Coates). Her long Hollywood career include such features as A Tree Grows in Brooklyn, Three Coins in the Fountain, and The Greatest Story Ever Told. Disney's "Operation Wonderland" airs as part of the television variety show Ford Star Revue. Walt presents clips and interviews from his next film Alice in Wonderland. Fowler and Walt Disney himself in attendance. path of the movie, as the riders (as Alice) follow the White Rabbit down the Rabbit Hole into Wonderland. the opening ceremonies feature eight live mermaids performing a synchronized swimming ballet in the lagoon. helps Walt Disney christen the sub D-301, appropriately named Nautilus. special to be titled Kodak Presents Disneyland ’59. Art Linkletter (who along with Reagan helped host Disneyland's TV debut back in 1955). All the new attractions will officially open to the public the following day. The Disney Channel airs episode 38 of MMC. Today is Anything Can Happen Day! important album in Dave's catalogue after his classic Time Out. Epcot's Universe of Energy (closed since January 21) reopens with newly repainted dinosaurs and flat screens for the pre-show. The computer controlled sign that welcomes guests to the main entrance of Disneyland's parking lot is removed. Its site will be absorbed into the new California Adventure area. Tokyo Disneyland welcomes its 250-millionth visitor, Mrs. Hisae Do. which is filled with scores of tourists, is towed back to its destination. the 4th episode of the new animated Kim Possible series titled "Tick-Tick-Tick." Mickey's Toontown of Pin Trading takes place at Disney World. episode of the animated series Phineas and Ferb. "Heigh-Ho" has been developing of late as a closing number for a night-club set, being one of those free-wheeling tunes with an orthodox structure, which lends itself to creating a climactic feeling of excitement." Place and the feature film The Polar Express. will continue the show with a permanent professional cast at the end of the 1974 summer! Evelyn Henry - one of the unsung heroines of animation’s past - is born in Alberta, Canada. First hired by Disney in 1932, she worked as an inker on the Silly Symphony shorts. Later promoted to department head, she acted as a supervisor for Snow White and the Seven Dwarfs. During the production of Snow White, Evie marred future Disney Legend Claude Coats - a background painter for the studio. Enterprises. The meeting allows Walt Disney to present his ideas about the Florida property to the board members and legal staff of Walt Disney Productions, lawyers and consultants from the state of Florida, and Disney’s legal staff from New York City. His staff will now have a better idea of the project’s scope and needs so that they can begin researching and crafting the necessary legal groundwork. in California and London, England. The All American College Band performs for the very first time at Disneyland. 11 weeks throughout the summer (and become a yearly tradition). 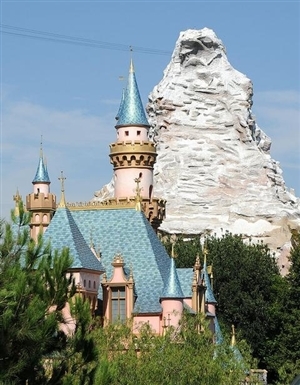 Also on this day at Disneyland, the Matterhorn Mountain with its Matterhorn Bobsleds, opens. Modeled after the Matterhorn, a real mountain in the Swiss Alps, it is the first roller coaster to use cylindrical rails and urethane wheels (which will become standard in the roller coaster industry). At 147 feet tall, the Matterhorn contains 500 tons of structural steel. 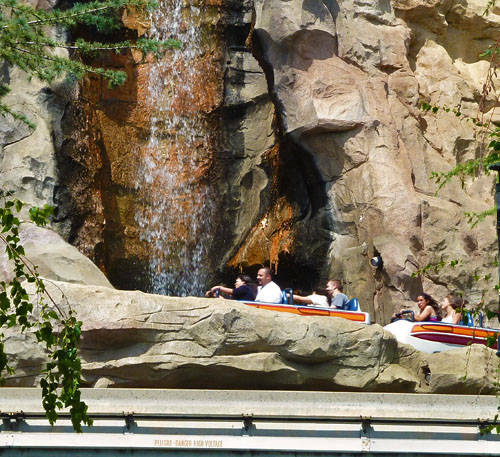 The ride consists of two separate tracks that run somewhat parallel to each other for much of the ride, intertwining and eventually deviating from each other at the loading areas. Second Continental Congress in 1777. The Cars 2 soundtrack is released on both CD album and as a digital download. With a score by Michael Giacchino, the collection also features performances by Weezer, Brad Paisley, Robbie Williams, French singer-songwriter Bénabar and Japanese girl group Perfume. Pixar's Cars 2 will be released in U.S. theaters June 24. In Florida, guests at Disney's Typhoon Lagoon help set a Guiness World Record. new record by hosting an estimated 30,000 swim lesson participants! Disneyland Resort guests tomorrow June 15. Businessman, television personality and the 45th President of the United States, Donald Trump is born in New York City. Visit the Donald Trump robot (and all the Commander-in-Chiefs) at Disney World's Hall of Presidents.